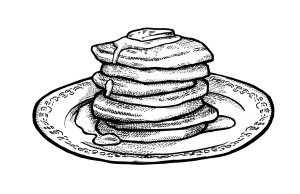 Chef Kieron Hales will be popping up at the Zingerman’s Coffee Company to flip his signature homestead pancakes. In addition to traditional pancakes, our June special flavor will be Lavender and Honey! This event is open to the public, so come get your hot cakes before they’re sold out! Pancakes cost $8 per stack.